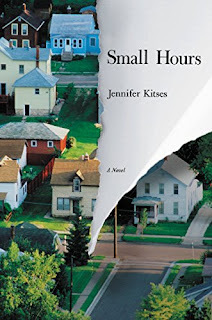 As everyone on the planet knows, I love the promise of debuts, so I was thrilled to get Jennifer Kitses' debut SMALL HOURS, which tracks a powder keg of a day between a husband and wife.. Jennifer is a writer and editor for CUNY's graduate school, and contributes to the alumni magazines of Columbia Business School and the University at Buffalo. 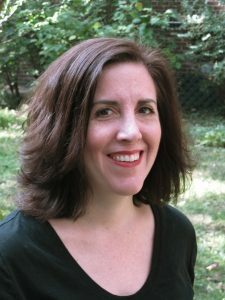 Her writing has appeared in local newspapers, including The New York Observer, and in Akashic Books' online series, Mondays Are Murder. 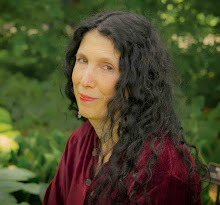 She is a member of the Columbia Fiction Foundry writing workshop and lives in New York. Thank you so much, Jennifer for being here! I always want to know why this novel, why now? What was haunting you? My twin daughters were three years old when I started writing this novel, and a lot of the pressures I was experiencing — everything from managing freelance deadlines to lack of sleep and financial pressures — found their way into the story. With Tom, I was also trying to answer a question that I had been wondering about for a while: can someone who is fundamentally good (as Helen sees Tom) do something that’s incredibly wrong, and if so, how would they try to get themselves out of that mess? With Helen, I was haunted then (and I still am now!) with how easy it is for anger or violence to explode, even in circumstances when you might not expect it. I’ve witnessed a few major altercations between parents, in playgrounds and elsewhere, and on the subways I’ve seen plenty of explosive encounters between people who — I’m guessing — don’t see themselves as someone who would start a fight or shout curses into a stranger’s face. And I think it’s hard to shake the effects of those encounters, particularly if you’ve allowed yourself to get drawn into a situation that you could have avoided. I so loved this novel. What unnerved me so much was how your characters are both distinct individuals and yet every person. All it takes is one moment to derail any of our lives. How were you able to write this novel without panicking? First of all, thank you! As for panicking: possibly I’m a bit more used to anxiety than I should be, so maybe that helped. But I think we all have days that start out ordinary but wind up filled with tension, often from multiple sources, and the accumulating pressures lead us to a place where we’re at risk of seeing our lives derailed. The really scary part is when we feel the urge to derail ourselves. I also deeply admired how I thought you were going in one direction with the novel, and then you went into another, always eschewing melodrama for what is real. Can you talk about that, please? I’m lucky to have an amazing editor, who pushed me not to hold back and to let the characters make bold moves. I also got a lot of great feedback from early readers, and because I was in a writing group, it was easy to see which scenes were working and which needed major rewriting. It took a lot of attempts — draft after draft — to get certain scenes as close as possible to what I felt was real. I love the title. Can you talk about that, also? Well, there are at least 50 rejected titles (some of which still give me a good laugh!). 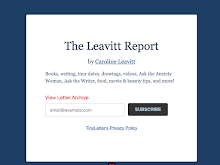 I wanted to get at that feeling of being always busy — that every hour is overstuffed with things to do — and yet also feeling like you’re getting nothing done or that your life is slipping through your grasp. At one point, Tom realizes that he can see his entire life in the intense yet seemingly small moments of his day. The title references that, and also (I’m hoping) how both Tom’s and Helen’s triumphs and failures play out as we move through this day in their lives. Some of the same questions: mistakes and paths not taken, violence and anger, self-perception and delusion. And also new but related ideas, like identity. I’m fascinated by people who decide to change their lives radically — not just how they see or present themselves, but to change who they are in some essential way. I think it requires tremendous optimism to really change who you are or how you live. One that I wondered about myself, early in the writing, was whether to use a real or a fictional setting. Devon is based on a few Hudson Valley towns, with details borrowed from a former mill town in Massachusetts (all places that I love; researching a place is always the fun part for me). After trying to write a previous novel that was set in a very specific neighborhood, and going a little crazy as that neighborhood developed and changed over the years (requiring countless changes in my draft), I could see the appeal of using a fictional town, like Kent Haruf’s Holt or Richard Ford’s Haddam. It was nice not to worry about warehouses getting torn down or the train schedule changing.